Poached Pear Bistro in Point Pleasant Beach, NJ is a fine dining establishment whose mission is to offer familiar dishes presented in innovative ways. Owner and Chef Scott Giordano wanted to create a refined yet approachable establishment. M studio’s branding service was able to translate this goal perfectly across platforms. During the brand exploration, M studio’s graphic designers chose a traditional serif typeface with an organic detail. 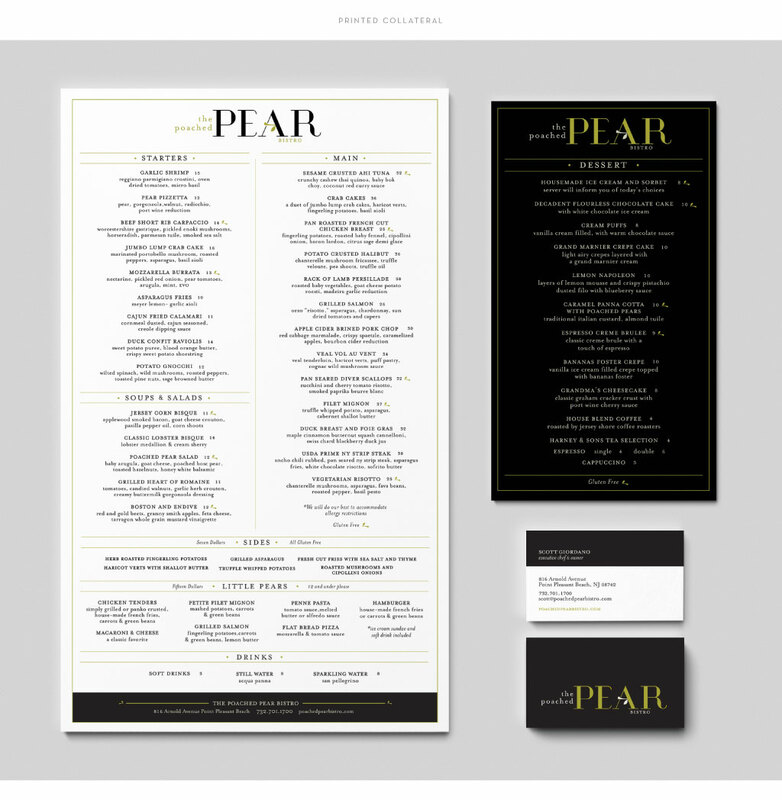 The custom logo design featured an American bistro aesthetic with a clean black, white, and green color palette. To translate the upscale environment and imaginative plates to other mediums, an M studio photographer captured the restaurant’s open environment and exquisite food via stunning imagery. 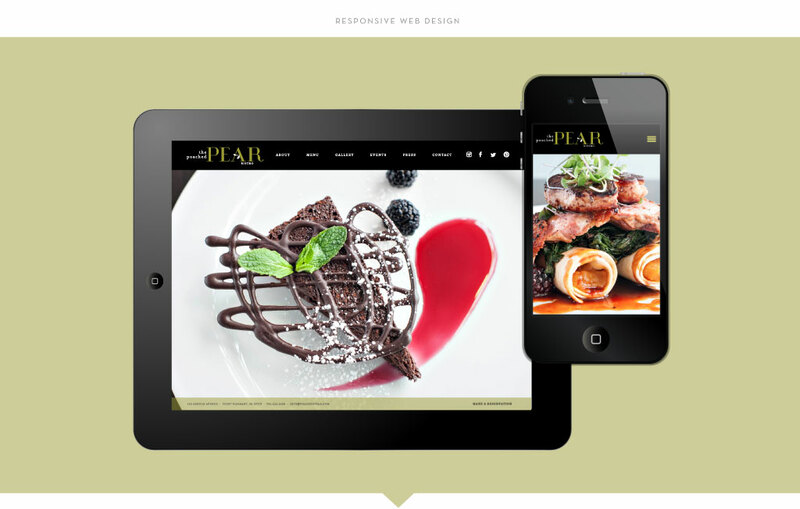 Both the photography and graphic design elements translated perfectly to a new, responsive web design. 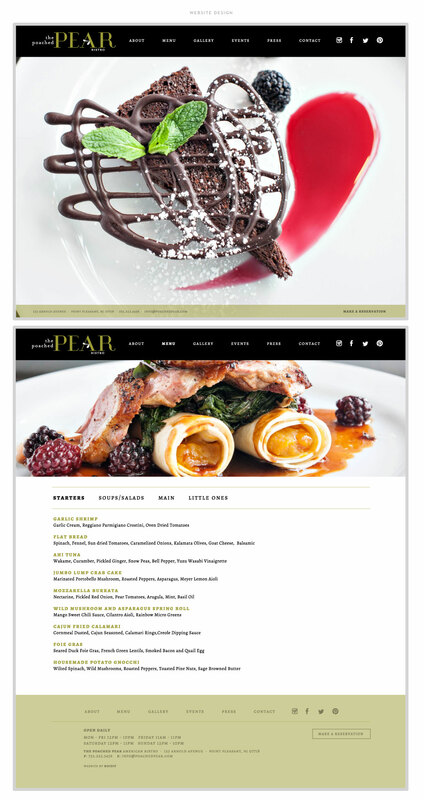 Poached Pear Bistro called upon M studio’s public relations team to announce its grand opening and communicate news about its menu and specials via its social media channels. Our publicists placed news about the grand opening in the Asbury Park Press, The Examiner, NJ Monthly, Point Pleasant Beach Patch, and on NJ.com. Similarly, our social media management team created and managed the restaurant’s Facebook, Twitter, Instagram, and Pinterest channels in the weeks leading up to the restaurant’s grand opening.